Stunning walnut veneer executive Zeta desk with matching credenza which can really tie a room together. Optional leather decorative desk mat. More photos available and info on request. 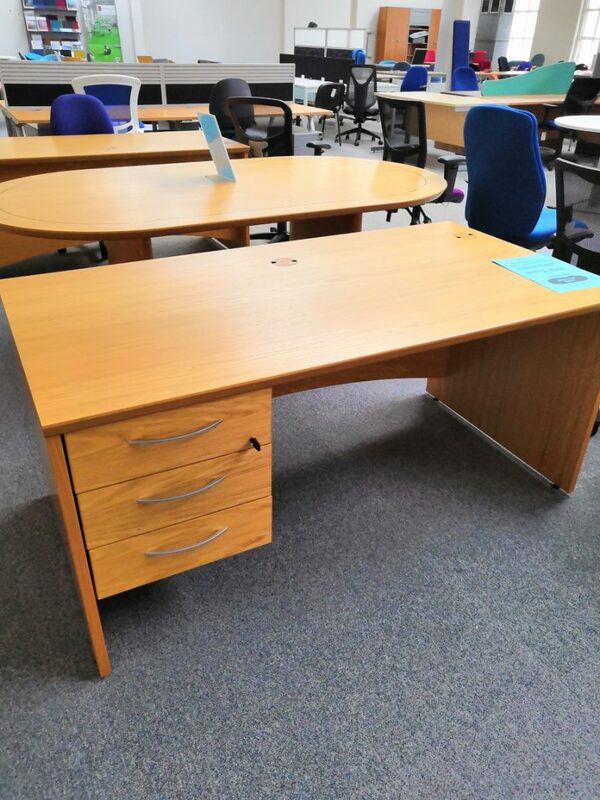 Glossy and sophisticated x4 Italian L shaped desk with silver legs and matching lockable pedestal. 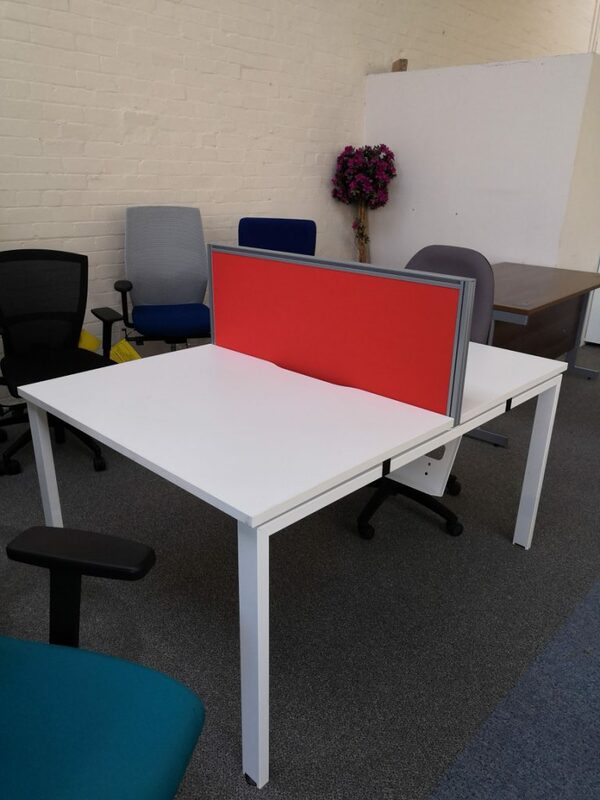 Matching square meeting table available. 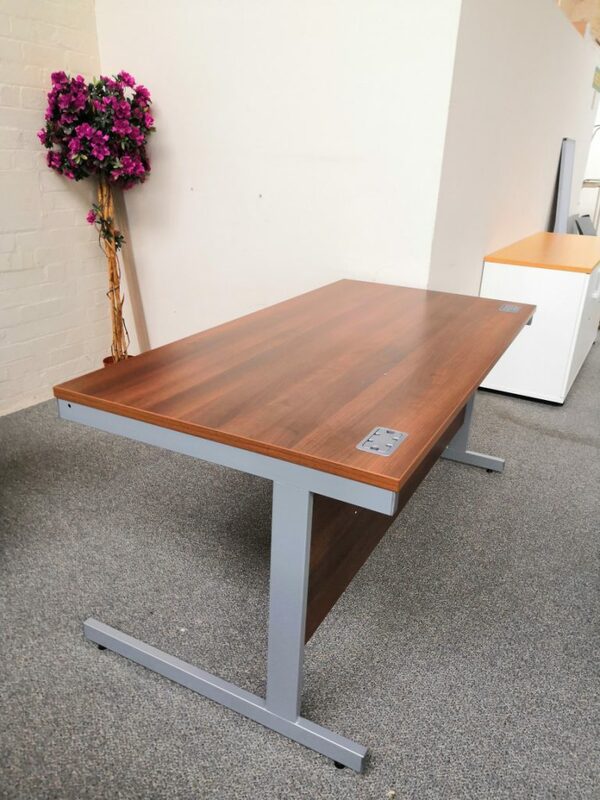 Walnut straight desk with silver cantilever legs. Cable ports for tidy wire management. 1600 x 800. 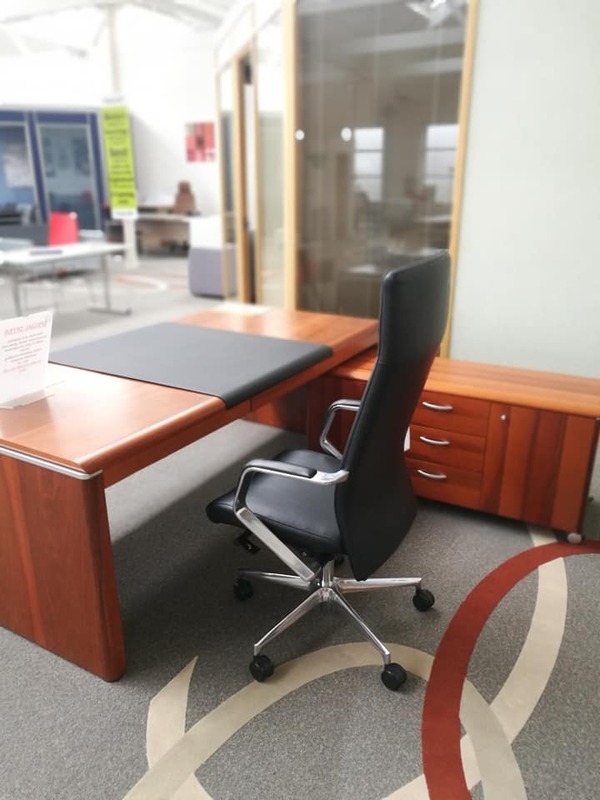 Ash/Maple straight desk with silver cantilever legs. Cable ports for tidy wire management. 1600 x 800. 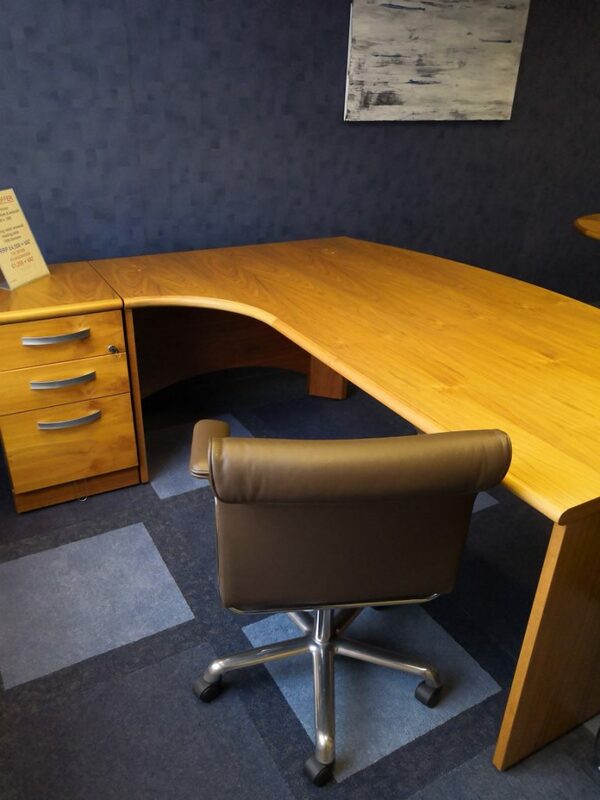 Stunning large bow fronted walnut veneer desk with desk height pedestal and matching circular table. 2 Available. Gorgeous oak veneer desk with drawers and cable ports. A must see in the flesh! 2 Available. 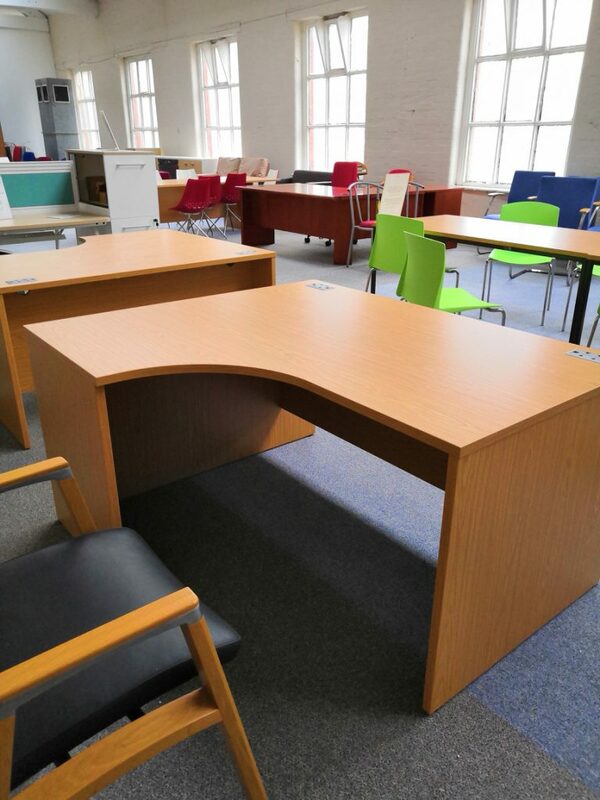 Compact corner desk in light wood Calva oak, both left-hand return. Ideal for small offices and those with lots of devices. 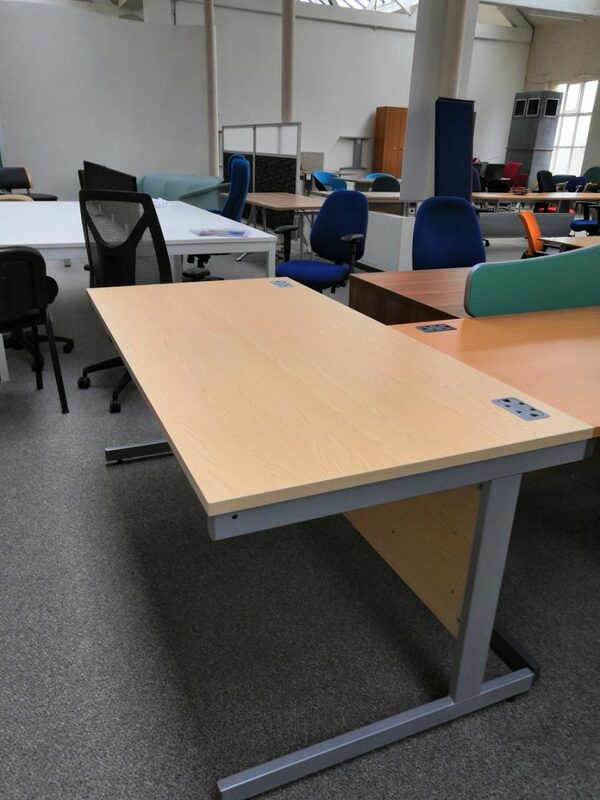 Compact solution for bench desking, 1000w x 700d. 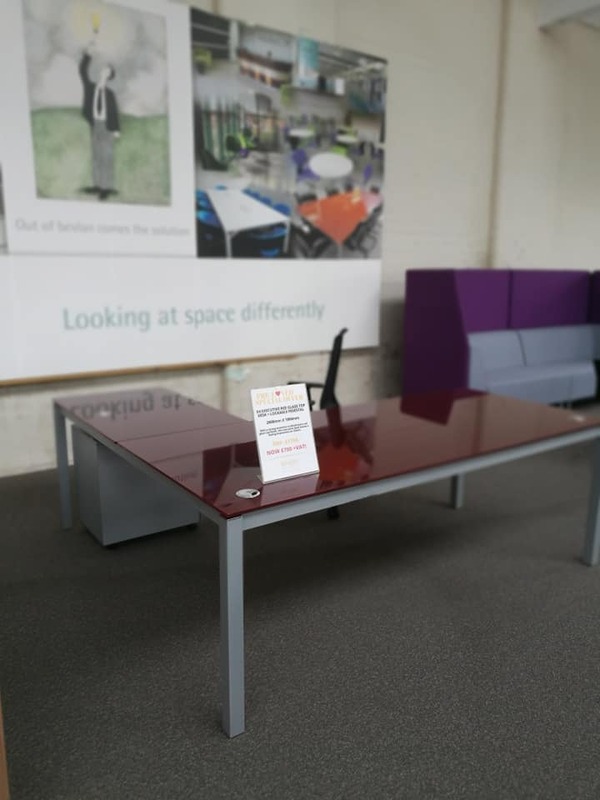 Ideal for hot desking. Comes with screen and cable tray underneath.